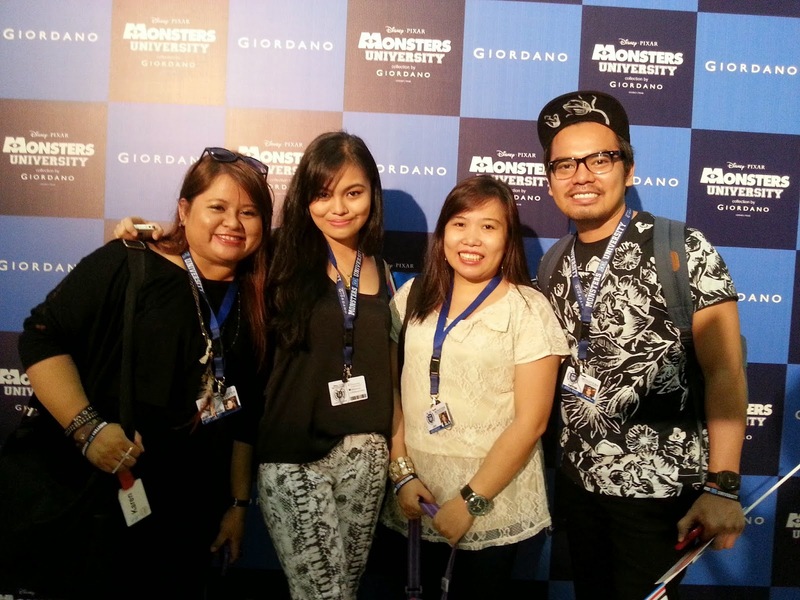 Giordano truly breaks the barriers between humans and monsters as it unveils its latest collection of characters from Disney•Pixar movie, “Monsters University,” the exciting prequel to the 2001 breakthrough animated film, “Monsters, Inc.” last June 21. The special collection allows you to experience the magic and fun of being a student at the world’s best Scare University as it shows on the big screens. 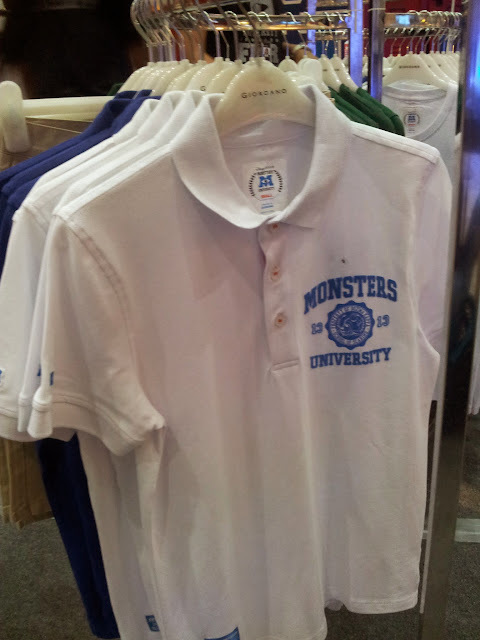 Timeless, essential and delightful, Giordano’s Monsters University collection is made with the brand’s signature 100% high quality cotton material which is easy to mix and match with other pieces, perfect for a long day of classes or for a casual day out with friends. Make like a Monsters University student and display your school pride with Giordano’s MU-inspired shirts emblazoned with the Monsters University logo. If your style is preppy, polo shirts with the University logo up your style quotient without sacrificing comfort. They are available in fun, vivid colors. Just like any other human college, MU is active when it comes to the Greek experience. The Oozma Kappa (OK) is a house of wholesome, good-natured misfits who seem to have bonded over their inability to make it through the Scaring Program. Among their members are the adorable Mike and Sulley. You can be a part of this special (even endearing!) 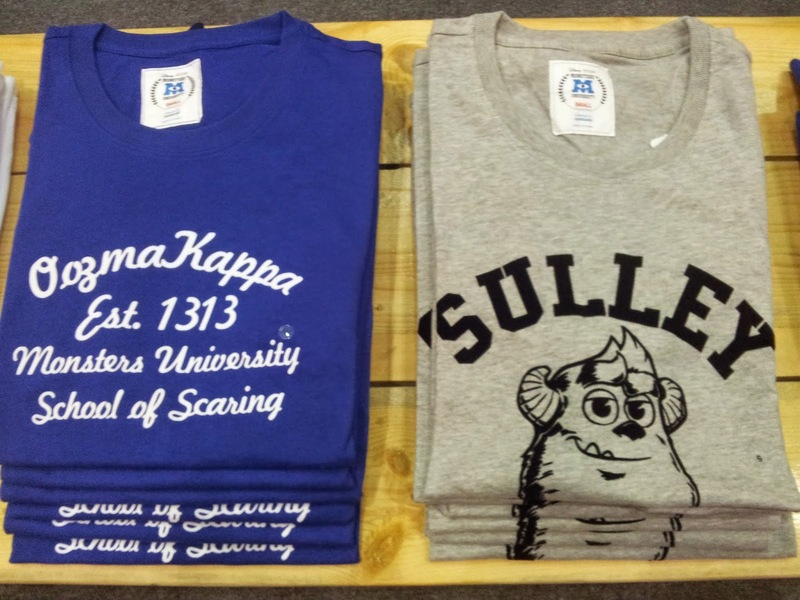 society with colorful crewneck shirts featuring the unique Oozma Kappa coat of arms. Admirers of the lovable one-eyed green monster Mike or the giant furry blue creature Sulley can now wear their hearts on their sleeves with crewneck shirts featuring the characters and go crazy with Team Mike vs Team Sulley discussions. Aside from the comfy shirts, Giordano also offers hoodies adorned with the MU logo which will surely keep you warm and stylish during the rainy months ahead. 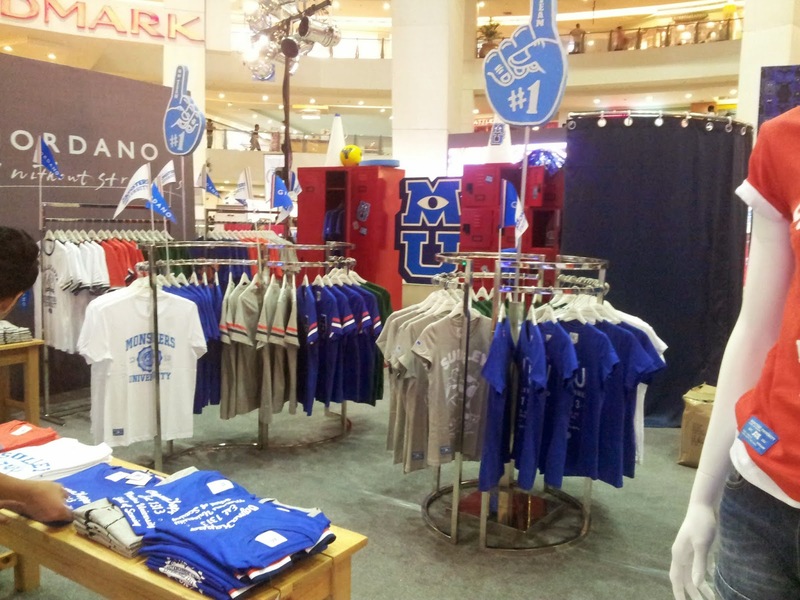 MU-inspired cheerleader dresses are also available in selected branches. The fun new collection is available in all Giordano branches nationwide. I showed these pics to my students and most of them wanted the Monsters University Collection by Giordano. 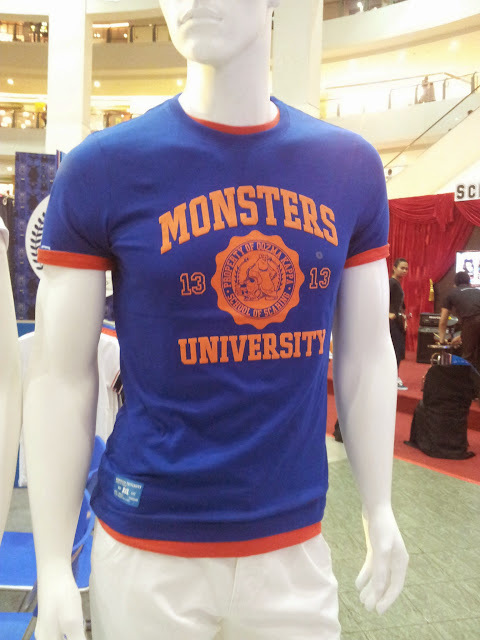 Its really cool and really gives off the feeling that it is as if a university shirt indeed. 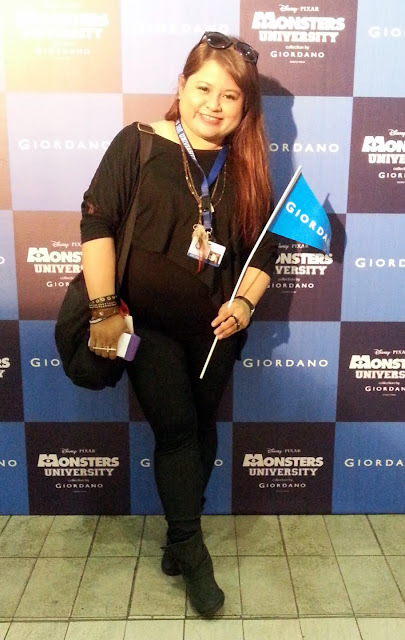 So Coffeeholics, I really had fun at the Giordano Monsters University Fair. So glad that I wore this outfit that gave me more freedom to move about! 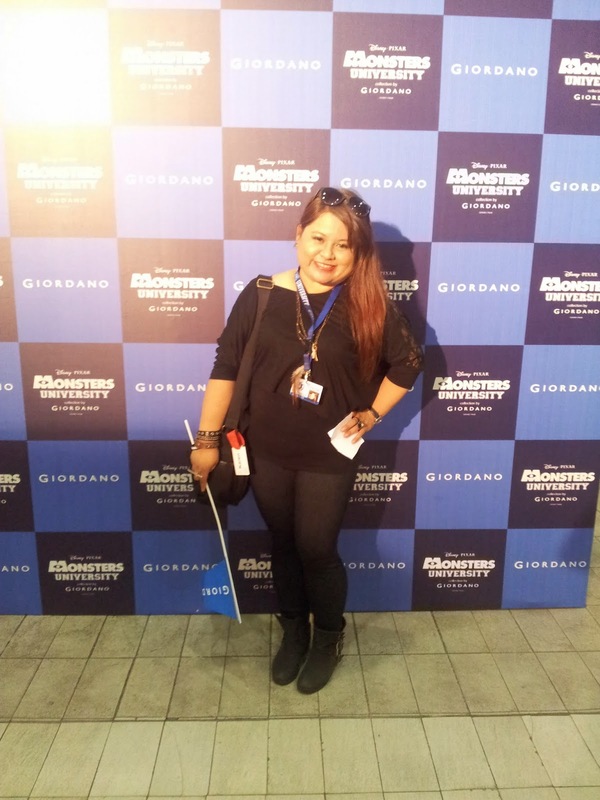 Haha so yeah, I'm in an almost ALL BLACK attire. 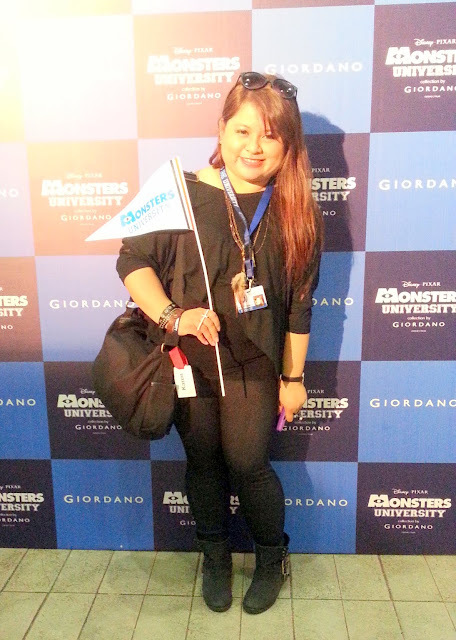 Giordano's Monsters University Fair last weekend. My temp tat! lol. Arm painting. 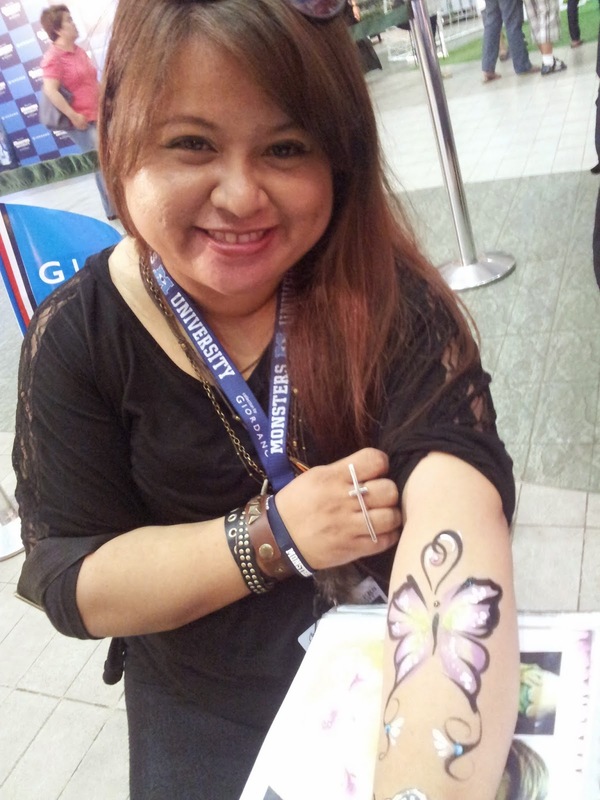 I love butterflies. This is super pretty! My black leather band was bought at Kisses & Co. while the brown is from SM Accessories. My cross ring was bought at Forever21. 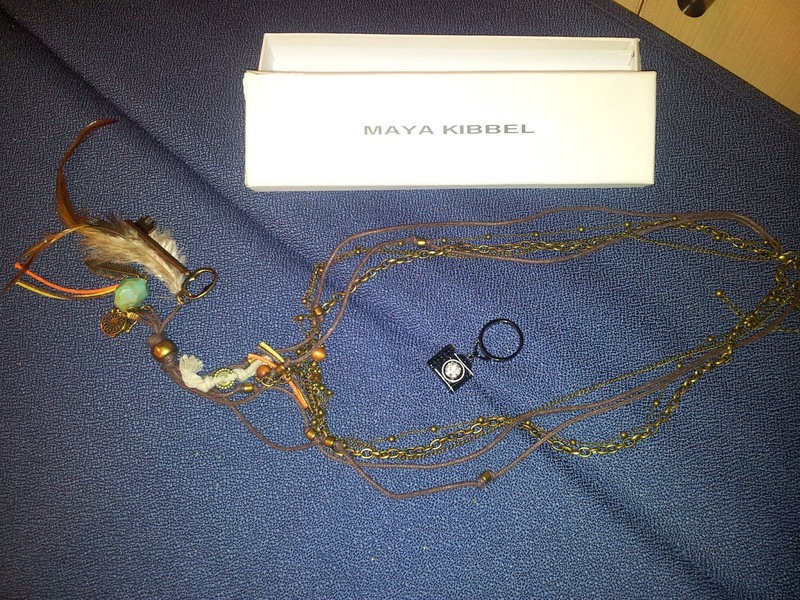 The Gyspy like necklace and the black camera ring that I was wearing was bought at BU5! She sold me these pieces at Php 50 per piece. OH DIBA? Hihihi! HAD FUN WITH THESE AWESOME PEOPLE! Arrived at the event with Ohhthat by Tin, Sofi, and Shopgirl Jen! So glad to see these wonderful bloggers again! 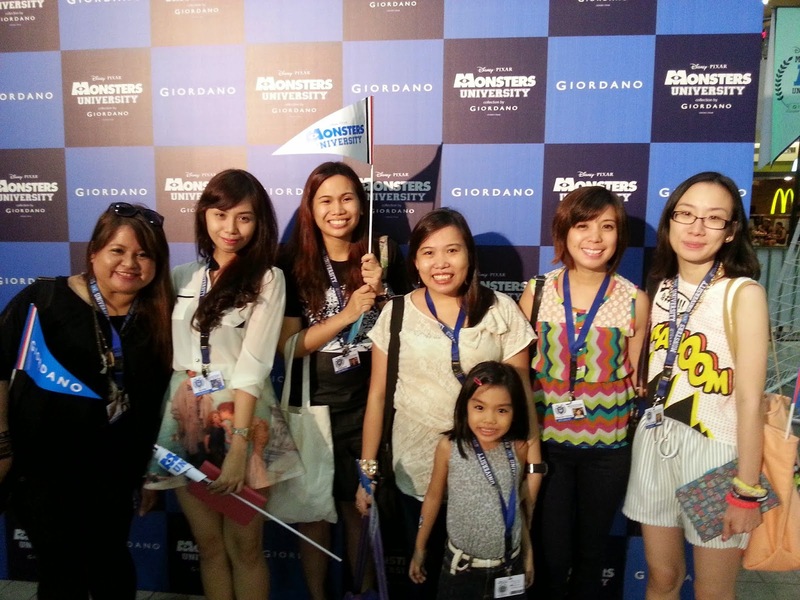 From L-R, that's yours truly, Raid My Closet Arnie Villanueva, Ana Gonzales, Shopgirl Jen with daughter Sofia, Fashionist Architect Rache, and ArtsyFartsy Ava! With Christine Liwag, Shopgirl Jen, and Catch G! 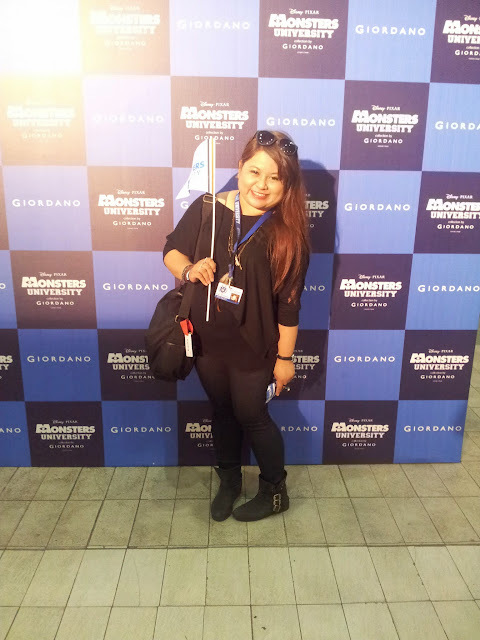 THANK YOU GIORDANO! I had a blast. at SM MEGAMALL A, on July 6-7. GIORDANO. Add. Follow. Connect. GIORDANO. Giordano Twitter. Giordano FB. Giordano Instagram. How about you Coffeeholics? Were you there at the GMUFair? 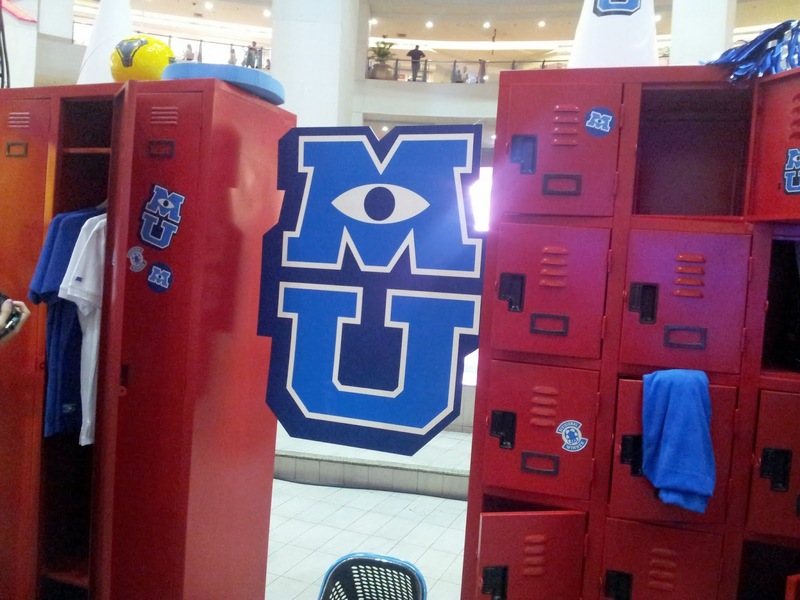 Have you watched Monsters University already? Let me know what you think! drooling for those shirt. Couldn't wait for that to arrive here. 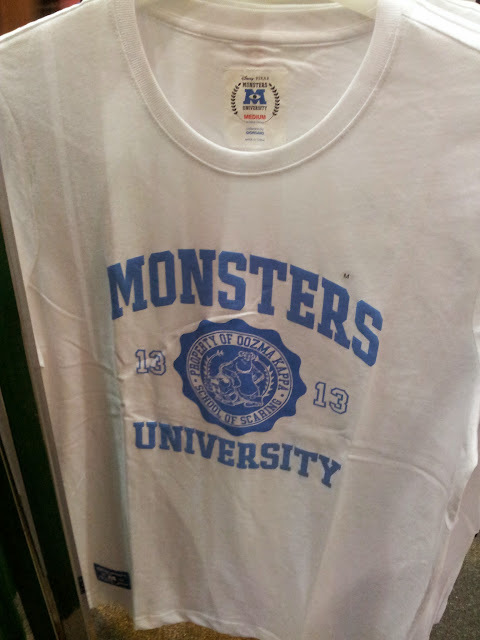 The monster university tees look really cool and has the university feel yet stays in touch with the movie. 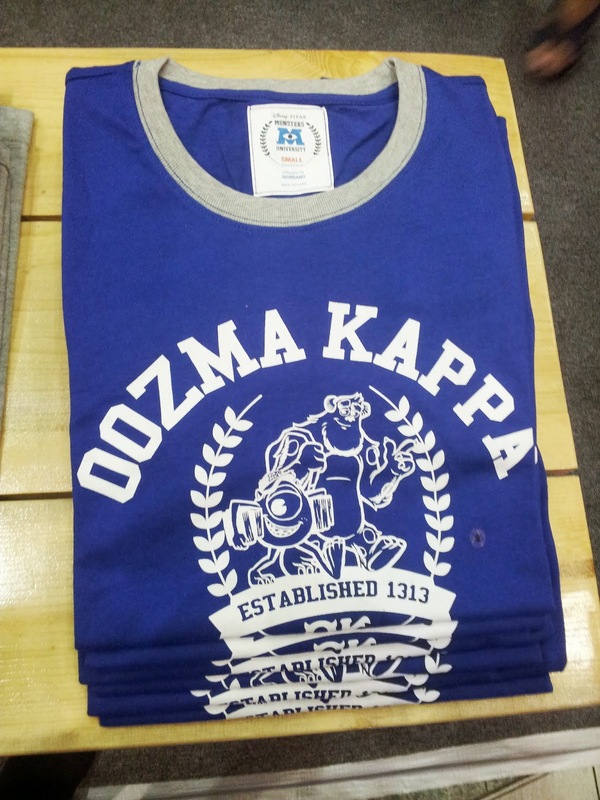 I honestly would like to buy one of those Oozma Kappa t-shirts! I saw these the other day I passed by a Giordano store. I don't wear tees most of the time, but I'd gladly sport these! :D Love the brand and the Monsters University movie!